Like everyone, I have a favorite t-shirt. It’s my wolf tee; and that shirt and me have been through a lot of great times together. Some of the more memorable events my shirt and I shared include the time I went on a hike in the woods and happened upon a pack of coyotes. Those coyotes were immediately threatened by the wolf on my shirt and chased me throughout the woods for what seemed like an eternity before they got my number and clawed and bit me all over. I barely made it out of that coyote attack alive. However, 2,000 stitches later I was good to go. 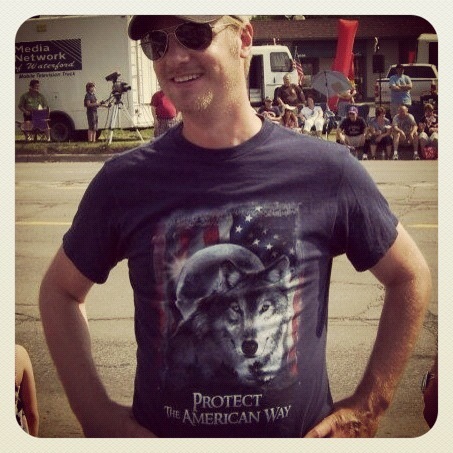 Another time I recall is when I wore my wolf shirt to the local parade. Everyone who walked by me pointed and laughed at me and my shirt. Days later I was alerted that the local community cable station was directly across from me filming the parade. I was on TV for two hours with my wolf shirt front and center. They zoomed in quite frequently and dubbed over comments like, “What a stupid shirt!” and “That’s the dumbest shirt I ever saw!” After that aired I started getting letters in the mail from everyone in my community saying that they saw me on TV and that they hated my shirt. After the parade instance, I guess people were inclined to take photos of me and my wolf shirt from the TV broadcast and started submitting those photos to the website People of Walmart. Yeah, me and my wolf shirt have had some good times and lots of laughs. 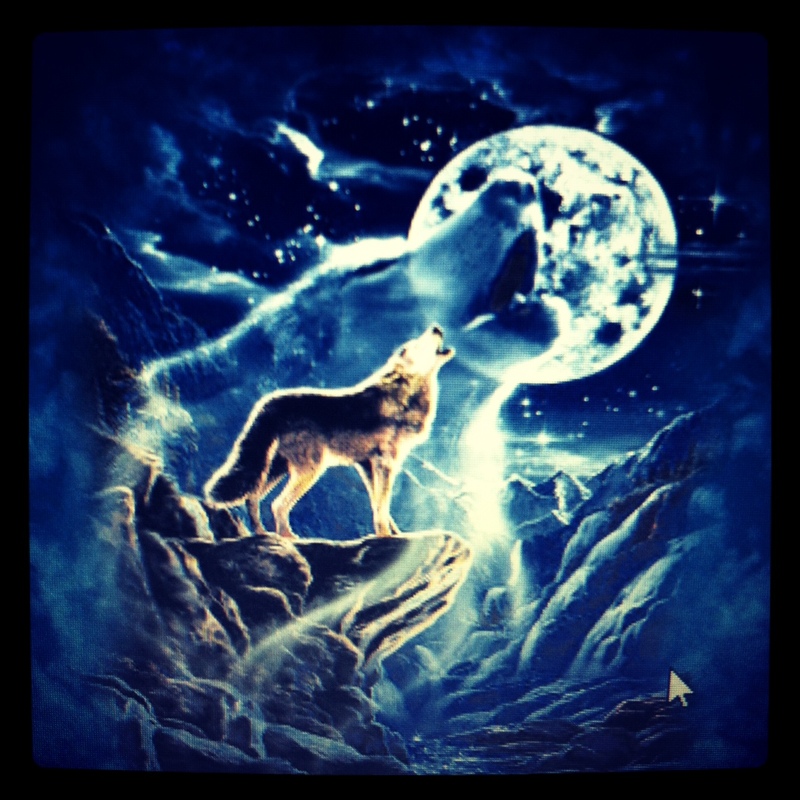 You got attacked when wore that wolf t shirt and it is your favorite one? Anyway, I really enjoyed your story. I think he like dogs more than kittens. Am I right James? I can verify it by looking at his favorite t-shirt. One really can never tell can they? Try a kitten shirt next time. It is much less intimidating and will cause much less jealousy. Since I’m allergic to cats, I’m afraid I’d have sneezing fits from wearing a kitten shirt. Perhaps not though. Thanks for the suggestion. Hey Jim, I heard you like kitten shirts…. Yes. I am partial to the tiny shirts that kittens wear.